Like the regular i30 N, it won't be coming to America. Topline: Ahead of the Paris Motor Show, Hyundai has revealed a non-hatch, four-door version of its i30 N dubbed the Fastback. 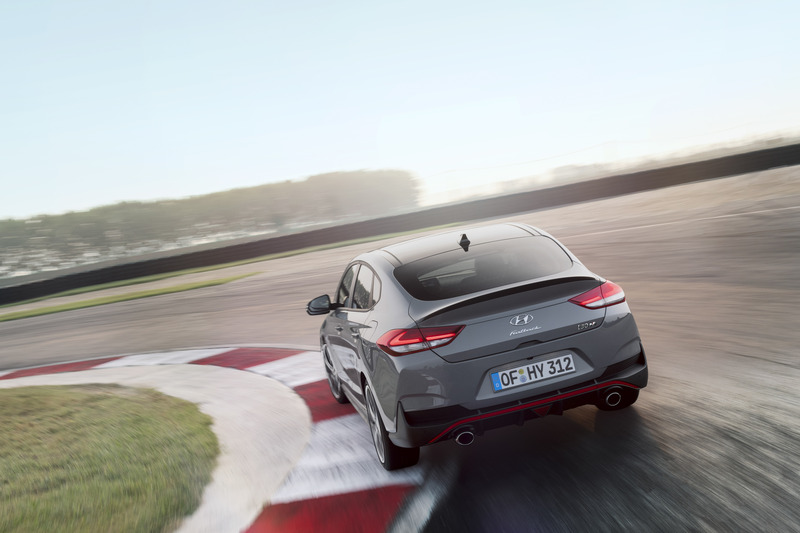 Just like the regular i30 N, it won't be sold in the U.S.
What's New: As its premise suggests, the i30 Fastback N is essentially an i30 N with a less practical rear end—a back half that looks like it was taken from a Mercedes-AMG GT 4-Door Coupe and grafted onto the back of an Elantra. 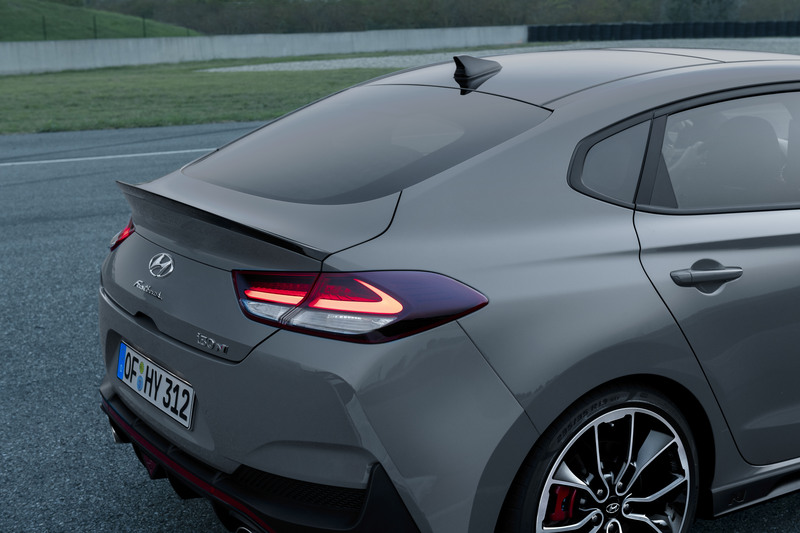 Yes, you're looking at what is very likely the non-luxury compact segment's first high-performance four-door coupe—or as Hyundai has billed it, a "five-door hot coupe." It's essentially an AMG CLS for those that can't afford an AMG (or a Kia Stinger, for that matter). 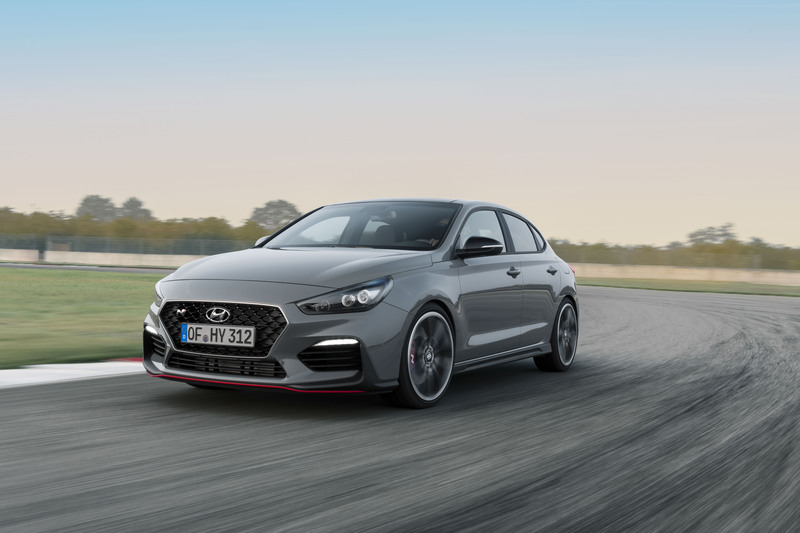 Quotable: "With the all-new i30 Fastback N, Hyundai again sets new standards in the market, enhancing the brand’s appeal with highly emotional products," said Hyundai Motor Europe Vice President of Marketing and Product Andreas-Christoph Hofmann. "The i30 N’s sales performance clearly proves that with our N models we don’t just offer cars, we create a feeling—the unique N feeling which leaves that special smile on our customers’ faces." What You Need to Know: Other than the slopey-sedan shape, everything else from the regular, hatch i30 N is unchanged. It still uses a 2.0-liter four-cylinder turbo making either 247 horsepower or 272 with the optional Performance Package. It makes 260 pound-feet of torque in either configuration and tops out at 155 miles per hour. With the Performance Pack equipped, it sprints to 62 miles per hour in 6.1 seconds while the base model does the same in 6.4. It comes with sporty red accents inside and out, a six-speed manual transmission, and a beefy wheel-tire-and-brake package. Typical hot hatch, er, five-door hot coupe stuff. 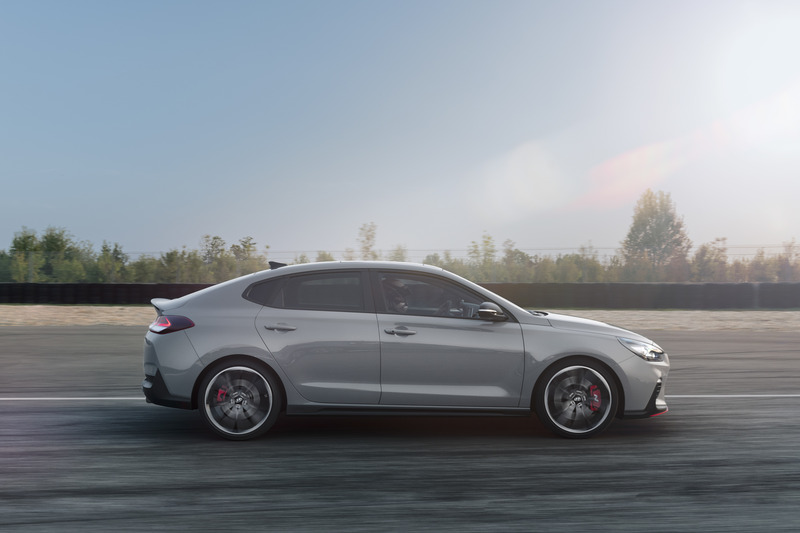 The 2019 Hyundai i30 Fastback N will be on display at the Paris Motor Show. Hyundai's long-awaited performance division has turned the carmaker's quirkiest compact into one heck of a hot hatch. Lots of sporty visual goodies but none of the real oomph. Welcome to the party, pal. The GTI and Civic Si have been waiting for ya. 'It can't hurt.' - Hyundai, probably. With the advent of Hyundai's first N car, the company says future cars across its line will be more entertaining.